These specialized sources may prove useful at various points in your research. All items listed below are located in the General Stacks unless otherwise indicated. From the AccessMedicine homepage, click on the "Patient Ed" tab to view the titles of the handouts. This resource includes approximately 100 patient education handouts on broad, common topics such as "macular degeneration." Each handout summarizes basic information about a condition and provides treatment options, and is between 1-3 pages in length. The handouts are drawn from the archive of McGraw-Hill's Postgraduate Medicine: The Practical Peer-Reviewed Journal for Primary Care Physicians. From the DynaMed homepage, search or browse for a topic, and look for the "Patient Information" section in the summary. DynaMed provides clinically-organized summaries for nearly 2,000 health topics. Most topics include a "Patient Information" section which includes links to non-profit associations' patient care handouts, and citations to patient care guidelines that have been published in peer-reviewed journals. DynaMed is available in a PDA application for Palm OS and Microsoft Mobile devices. MedlinePlus is a service of the National Library of Medicine and the National Institutes of Health. MedlinePlus pulls together quality health information from a variety of sources, and includes information on drugs and supplements, an illustrated medical encyclopedia, interactive tutorials, health news, and much more. Most content is available in Spanish and various other languages. It does not include printable patient care handouts, but it is free. It can be accessed on any computer with a web browser and an Internet connection. From the Micromedex splash page, select "CareNotes System." Use the search box to search for topics, or use the tabs at the top to browse the available handouts. This resource's patient handouts are in a separate area called "CareNotes." The handouts are extensive and are organized into major categories: General Information; Precare; Inpatient Care; Discharge Care; Aftercare Instructions (ER); and DrugNote. This resource is notable in that it includes dental information, drug infomation, and precare and aftercare instructions for a variety of patient and outpatient procedures, including laboratory tests. Next to search box, change drop-down menu from "Skills" to "Patient Education"
A patient-information tool that’s been written and reviewed by physicians and patient education professionals at the American Academy of Family Physicians (AAFP). From the STAT!Ref homepage, use the search box to search for your topic, and review your list of results in the left-hand pane. There will be a section titled "Patient Information." Click on this section to review the information available. You can also click on the "Titles" tab at the top of the scree to view chapter titles in the books listed above. Click on "Patient Info" and then browse by topic. These specialized sources may prove useful at various points in your research. All items listed below are located online or in the Biomedical Library's Reference Stacks, (located behind the elevators on the 1st floor) unless otherwise indicated. The Medical Letter, Inc. is a nonprofit organization that publishes critical appraisals of new prescription drugs and comparative reviews of previously approved drugs in its newsletters The Medical Letter on Drugs and Therapeutics and Treatment Guidelines from The Medical Letter. They provide accurate drug information, including drug effectiveness, adverse effects and drug interactions. Search for information about drugs and substances. MICROMEDEX includes the full-text of the PDR, USP-DI, Martindale’s, and many others. It also includes information about alternative therapies, patient handouts, and dosing tools. The database is updated quarterly, making it an ideal resource for information about new drugs. Please note that the Biomedical Library does not specifically collect information for consumer health. The following is a listing of a few library sources that may be of some help for patient referrals. All items listed below are located in the General Stacks by call number unless othrwise indicated. See also our Consumer Health Subject Guide. Adherence to Pediatric Medical Regimens, 2nd ed. All items listed below are located online or in the Biomedical Library's Reference Stacks (located behind the elevators on the 1st floor) unless otherwise indicated. Provides evidence-based information about complementary and alternative therapies. 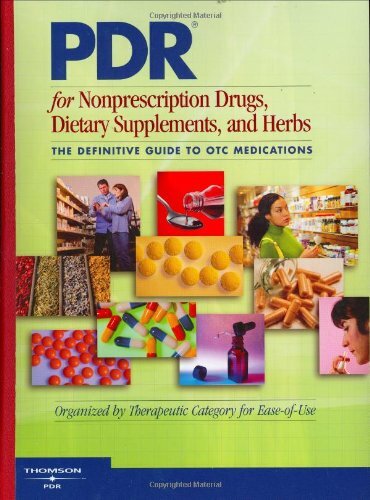 It contains three sub-databases: herbs & supplements, condition center, and alternative modalities.